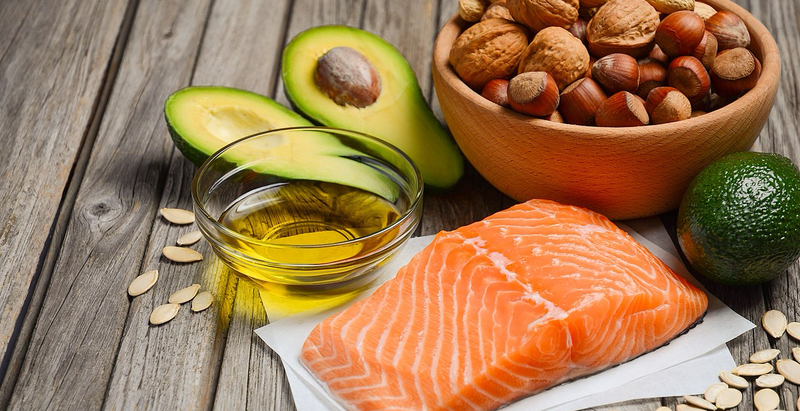 Adding the right kind of fats is essential to success in the ketogenic diet. When lowering your carbs you will want to fuel your body with good fats for your energy needs. By adding healthy fats into your diet you will find you feel full for a longer period of time, lower bad cholesterol, maintain ketosis, and even have smoother, more vibrant skin and hair. So how do I ensure I get enough fat with my keto lifestyle and maintain the right balance? I am thrilled you asked, read on below to find out 10 ways to increase fat intake. Fats can change the way your taste buds respond to a meal. Experiment with different combinations to find what pairs best. Steer clear of vegetable and seed oils, they are not quality fats and are actually not good for you. Stick to eating saturated fats, such as, animal fats, fish oil, grass-fed butter, coconut oil and mct oil, and monounsaturated fat (olive oil and avocado oil). Enjoy some fat coffee or tea. Add grass fed butter and mct oil to your coffee or tea. Add a natural cream full of good fats by putting in some heavy whipping cream. To save the guesswork and ensure your coffee contains exactly what you need and more you can use our Functional Fat Keto Kreme. Many people have fat coffee to replace breakfast. This will satisfy hunger, oftentimes well into the afternoon. Use foods with full fat content. Don’t buy into what we call the BIG FAT LIE. We have been taught that fat is bad for us and if we want to be thin we should be eating low fat, light or reduced fat food items. That is so far from the truth. In all reality, those products are loaded with artificial ingredients and sugars that are bad for you and people are fatter and sicker than ever. You want to buy products that have full fat ingredients. Toss out any products with “light”, “low fat”, “fat free”, or “reduced fat” in the label. If you choose to eat dairy, pick the full fat version. Add sides and garnishes high in healthy fats. Order a side of bacon with your breakfast and add in some avocado for a full fat meal. Enjoy a little guacamole with some parmesan cheese crisps. Order a spinach or spring mix salad and top with eggs, pecans, cheese, olives, hemp seeds, and nuts. Having an additional side or garnish of healthy fats will have you eating less and feeling full longer all while burning more fat! Choose fatty cuts of meat over lean meat. It is best to choose high quality cuts of meat. Think pastured and grass-fed beef. Better quality, richer cuts of meat, actually help you transition into ketosis quicker, while excess lean protein can kick you out of it. The richer they are, the more flavor you will enjoy. Make keto friendly smoothies with high fats. There are ways to incorporate delicious high fats into a keto smoothie. Add heavy whipping cream, avocados, and coconut milk for a delectable taste. Toss in hemp seeds and flax seeds for an additional boost of fat. Add extra flavor and a boost of fat with unsweetened cocoa and a natural sweetener. Find some great keto smoothie recipes here. If you must snack, eat snacks that have a heavier fat content. Here is where you can find some low carb snack suggestions. They’re packed full of nutrients we need and are very fulfilling. Nuts are loaded with nutrients and healthy fats. Think of them of natures crunchy fat bombs. They pack a powerful punch within a tiny handful. You can’t go wrong with eating nuts but do be aware, not all nuts are created equal. Check the carb content of each and don’t eat an entire bag in one sitting. You will want to have enough to feel right at the level of satisfied and then let you body burn its own fat reserves. Pecans, macadamia, and walnuts are excellent candidates. Peanuts, cashews, pistachios have a higher carb count so you will want to limit intake of those if your goal is to maintain ketosis. Cheese can be easily added into most meals. On your salad as a topping, as an appetizer, or with a berry dessert plate. It is a simple addition that not only tastes good, but can make you feel full longer. Hard cheeses high in fat like cheddar, monterey jack, gouda, swiss, or any of the other high-fat, is one of the simplest, tastiest ways to add flavor to any meal. Fish are rich in Omegas and high in fat. When deciding which should be on the menu the top choices are salmon, trout, mackerel, sardines and herring. There are so many scrumptious ways to enjoy. Here is a great keto recipe to try that will have your mouth watering. Eat up! Consumption of these types of fatty fish is linked to improved health and lower risk of disease. Low-carb and keto eating can be so fulfilling if you just put in a little thought as to what you are consuming. Introducing healthy fats a little a time will help to ensure your body adjusts accordingly. Use our top 10 Ways to Eat More Fat and get creative. Find new recipes and ways to incorporate these healthy fats in your diet and become a lean, mean, fat burning machine. You will be so glad you did!